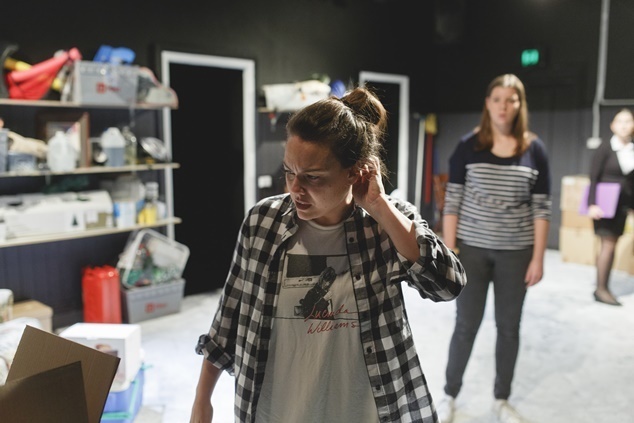 Currently on stage at The Blue Room Theatre, Toast is a story that tackles the harsh realities and home truths we all face sooner or later in each of our own lives. 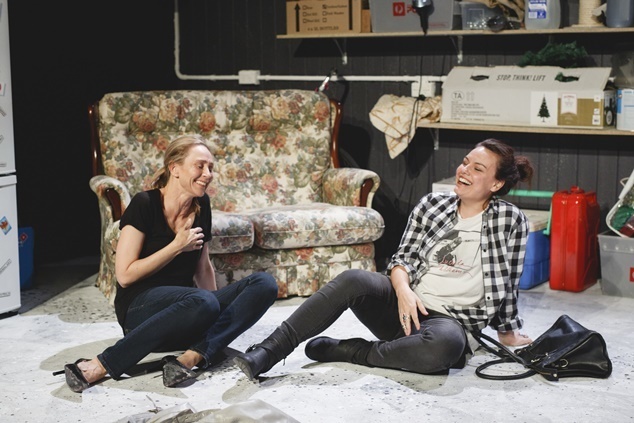 Starring Anna Lindstedt, Samantha Maclean, Amy Mathews and Alison van Reeken, the play takes audiences into the lives of three very different daughters and how they each uniquely deal with the grief of their mother’s death. We caught up with playwright and producer of Toast Liz Newell to find out what crispy bread has to do with the deeper themes of the performance, and how the story came to the stage. I’m a big fan of one-word titles and titles that have multiple meanings – Toast ticks both of those boxes. Mainly it ties in with a very important prop we use in the show, but it’s also a thinly-veiled reference to the idea of raising a glass to absent friends or family; toasting to someone’s memory after they’re gone. Then there’s that idea of using the word “toast” to mean “dead” or “killed”: “You’re toast!” Then someone pointed out to me recently that when people are about to have a stroke, they sometimes say they can smell toast. Which also fits, but is entirely accidental (and extremely morbid). How do you tackle subjects such as grief and family without treading old ground? They’re both such profound topics that the possibilities in exploring them as a writer feel endless. But they weren’t actually my starting point, which might have made it easier – my starting point was the people at the heart of the play, the sisters. Three very different women going through a life-altering event in their own strange ways, and the power that has to bring them together or tear them apart. I wanted to find a kind of truthfulness to the story, no matter how ugly the truth can sometimes be, so people might recognise a bit of themselves or their families onstage, whether they’ll admit it or not. We’ve also all worked really hard to find the humour in these situations – to strike that balance between something incredibly sad and incredibly funny. There’s really nothing amusing about a woman dying, but watching two grown women argue over who gets to keep the Tupperware she left behind is comedy gold. Luckily our actors – Alison, Amy, Anna and Samantha – are all extremely funny people who can find a laugh in the most unlikely of places. Does Toast come from a personal place for you? In some ways it does. Toast is essentially about mothers and sisters, family and belonging. I’m very close to my mother but I don’t have any siblings, and my family is pretty small but I do have a large ‘adopted’ side of the family, through marriage and such. I feel very close to those people but we aren’t related by blood. It got me thinking about the family we’re given versus the family we choose for ourselves, and whether one bond is any stronger or more meaningful than the other. In Toast one character in particular goes through a journey related to that. Toast is also very much about grief and the process of grieving, which fortunately is not something I’ve experienced directly in any big way. There was a lot of discussion in the development process to make sure this rings as true as it can, especially considering people grieve in such different ways depending on so many things. In the end it was about me choosing one or two particular ways of portraying that and fleshing it out as much as possible. Many reviewers have remarked the show ‘hits close to home’ – what makes Toast such a universal story? Well, unfortunately, most of us are going to experience the death of a loved one sooner or later – some of us already have. People have come to see the show having recently lost a family member and it’s obviously a pretty emotional ride for them, but I hope they’re finding a kind of catharsis in it too. I like to think Toast is as much about life as it is about death. Hopefully, also, whether you have siblings or not, people might find a little bit of themselves in some of the people onstage, or their families. Everyone has a family, even if they don’t exist in any traditional sense of the definition. And the one thing families have in common is, they’re weird. Really weird, and stupid, and all about pushing or pulling, but sometimes filled with far more love than any one person in that family might ever admit. Love – like grief – manifests in all kinds of ways, and maybe the only thing more universal than death is love. How did Toast evolve in the rehearsal process? Is it identical to the original script? Any first production of a new script will result in significant changes during the rehearsal process, absolutely. Massive kudos goes to director/dramaturg Emily McLean and our dynamite cast for their advice and patience, in that regard. Mainly the structure changed quite a lot before we found one that felt totally true to what we were doing, which was mostly a case of moving scenes around, rather than changing their actual content. We did delete one and I rewrote another. I try not to be precious in the room, I have no objection to scrapping five pages if it means we’re improving things overall. The ending took me forever to get right, that was definitely the trickiest piece of the puzzle. But I love getting my hands dirty in the rehearsal room, the picking apart and putting back together of scenes. There’s a rigour and a discipline to it which is extremely satisfying. You can also check out OUTinPerth’s review of Toast here.